Die Gasper AS PR Hot are innovative heated ski gloves with waterproof Ziener Aquashield® membrane and soft leather lining. The heating function works by a rechargeable battery that can be safely stored on the inside of the cuff. It heats for 2,5-5 hours (depending on level). The comfort zone in the glove of 37 to 40 degrees Celsius is controlled by 3 different heating levels depending on the outside temperature. 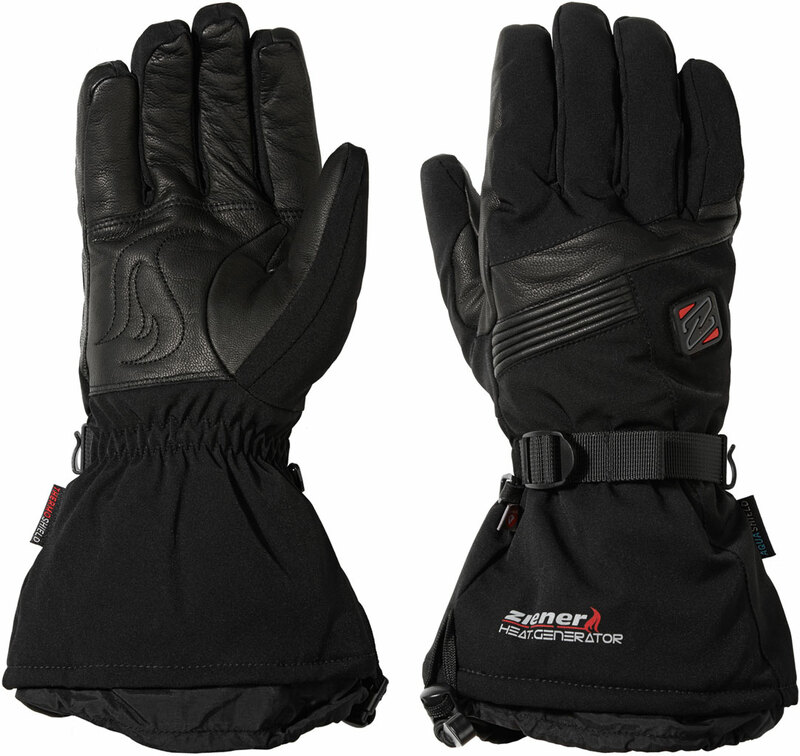 Additionally, the heating function is supported by the excellent warming PRIMALOFT insulation. The long cuff can be secured by one hand over the sleeve using the cord lock. The tri-glide buckle secures the glove at the wrist. For this product there are no Questions available.